These backpacks look great on my W40k Imperial Guardsmen. 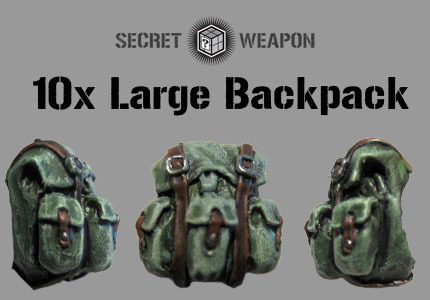 These are the best backpacks I have found online for them. They only downside is that they are made out of pewter.